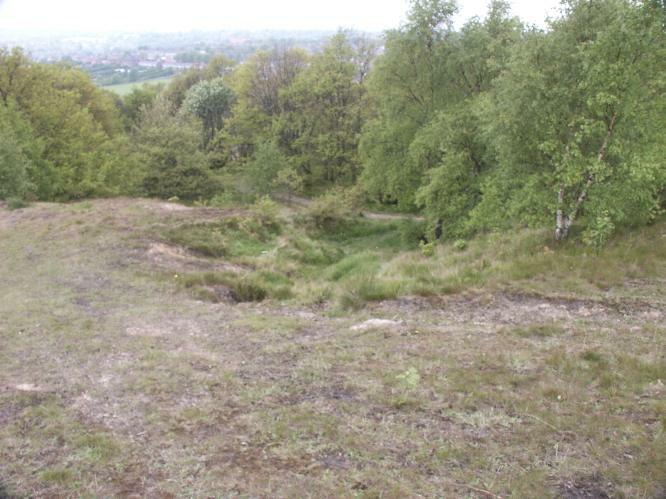 Wincobank (W.R.), Hillfort (SK/378910) 2.5 miles NE of center of Sheffield. Finds in Sheffield Museum. 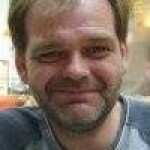 "This is an oval fort with an internal area of 2.5 acres. A bank, ditch and counterscarp bank are continuous around it except on the N side where ditch and counterscarp have been destroyed. The banks now nowhere exceed 3 ft. in ht. There is an entrance on the NE side, where one end of the main bank is thickened and the other end runs out across it for 30 ft., forming a type of out turned entrance. Excavation in 1899 showed that the ditch had an original depth of 5-6 ft. The main bank has a rubble core with stone facings. It had contained much timber work holding it together; at some period this had been burnt, accidentally or otherwise, until much of the rampart had been fused into a solid mass by heat. Not dated." - N Thomas, Guide to Prehistoric England. 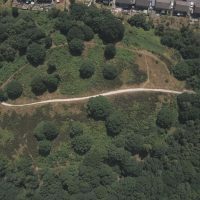 "The oval 2.5 acre fort at Wincobank, north of Sheffield, almost certainly provides an example of timber-laced rampart construction. 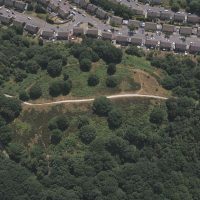 Excavations in 1899 (Howarth, 1899) indicated that the internal rampart, surviving to a height of about 3 feet, was 18 feet wide, and had well-built stone revetments. The core was of sandstone rubble, badly burnt and in parts fused, with variable quantities of charcoal and burnt timber. There was an outer earthen rampart with a little burnt wood and burnt stones, and a ditch between the two ramparts. No material remains were found." Later Prehistory from the Trent to the Tyne. Challis and Harding 1975. 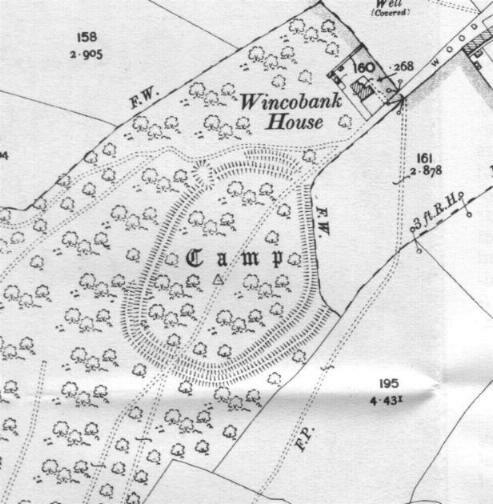 I was told about Wincobank by my father in law, who said it was vitrified. When I visited the first bit of rampart I looked at had indeed been fired. I've made lots of fires in my time and the top layer of rock reminded me of rock which had been in an intense fire for several days - we used to have the the biggest bonfire around and I was chief fire lighter! I'd call this type of rock example A, I took a chunk of it. As I walked round the inner rampart (this fort looks like it has two ramparts) I could see that this seemed to have been subject to the same temperatures along the entire length of the rampart covering the entire circumference of some 430m and formed a layer which was 3-4 ft wide. The burnt effect was graduated, with those rocks on the outside of this layer apparently reaching a cooler heat than those in the middle of this layer. 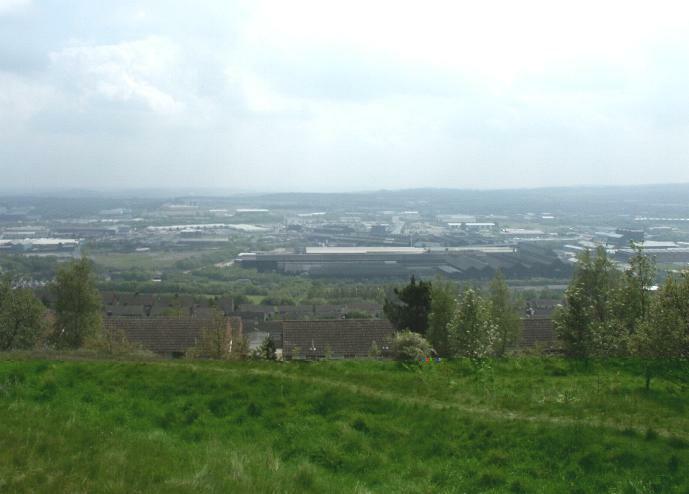 Possibly showing that the rocks which were originally on the top of the rampart reached a higher temperature. As I walked along the rampart I could see many areas where the rock had almost melted and had certainly fused with other rock I also got a sample of this kind of rock (Example B). 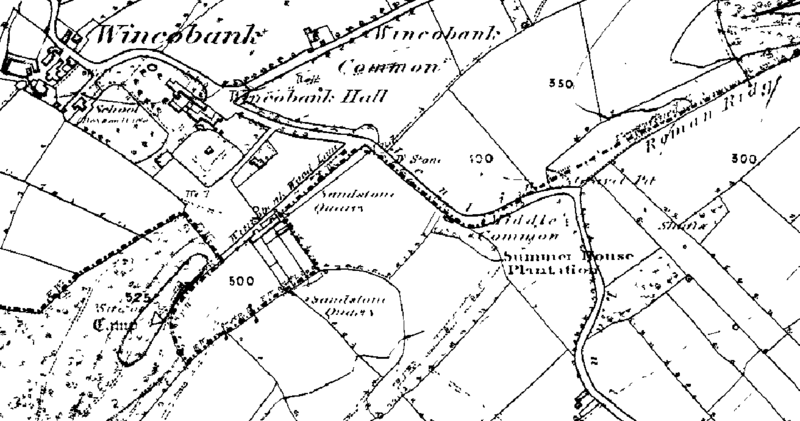 1857 map of Wincobank, shown on the bottom left. Of interest is its relationship to Roman Rig, identified on the upper right. 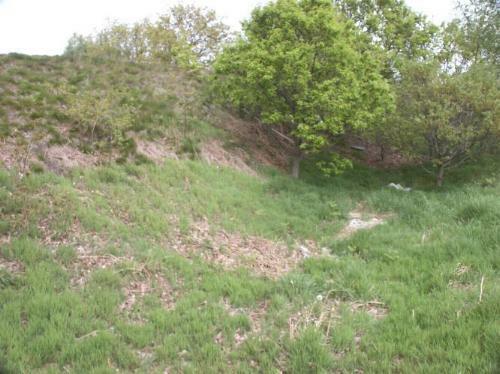 "This is an oval fort with an internal area of 2.5 acres. A bank, ditch and counterscarp bank are continuous around it except on the N side were ditch and counterscarp have been destroyed. The banks now nowhere exceed 3 ft. in ht. There is an entrance on the NE side, where one end of the bank is thickened and the other runs out across it for 30 ft., forming a type of out-turned entrance. Excavation in 1899 showed that the ditch had an original depth of 5-6 ft. The main bank has a rubble core with stone facings. It had contained much timberwork holding it together; at some period this had been burnt, accidentally or otherwise, until much of the rampart had been fused into a solid mass by the heat. Not dated." Guide to Prehistoric England, Nicholas Thomas, 1960.